Blizzard has introduced three new characters to Overwatch and Shacknews recently had a chance to try them all out at this year's Blizzcon. The Overwatch beta has been up and running, so a fair number of people attending Blizzcon have had a chance to try out the game in some form. However, this year's event has something new in store for the crowd in attendance, with a trio of new Overwatch heroes making their debut. Having already had a chance to mix it up with some of the game's mightiest warriors myself, this was a great opportunity to try out these new characters for myself. First up is Mei. 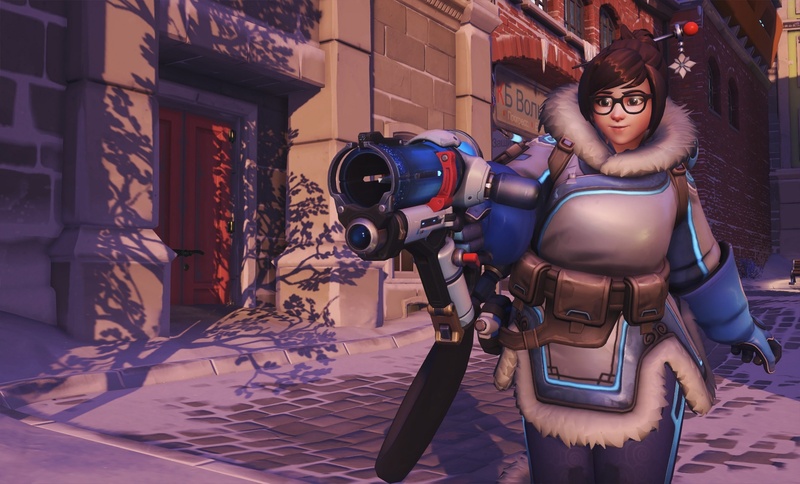 Blizzard is no stranger to characters that can command the frigid elements and has now introduced Mei, a shy, parka-wearing young girl with a powerful freeze gun called the Endothermic Blaster. The freeze gun has almost infinite ammo, but can only fire 200 rounds at a time. Successfully spraying opponents for a couple of seconds will cause them to freeze into a block of ice, leaving them vulnerable for teammates to come in and finish them off. If she's off in the distance, Mei can also use her alt-fire Icicle to send out long-range shots. Mei can protect herself from danger with the Cryo-Freeze ability, which allows her hide in a block of ice to restore health. But as I found out during my time with the character yesterday, this is not to be used in the middle of a huge firefight or against strong melee characters. She'll fall fast as soon as she comes out into the open. Then there's her Ice Wall ability, which is where Mei can come in exceptionally handy. Ice Wall puts up a tall ice structure to block off enemy attacks, but used in tight corridors, it can successfully be used to block off the enemy entirely and force them to go in another direction. Mastering the Ice Wall skill will be important for anyone looking to become proficient with Mei. Mei's Ultimate is called Blizzard, which is not to be confused with the publisher of the same name. This has her deploy a drone that will freeze nearby targets and leave them open for teammates to polish off. The drone is a powerful little thing, but only if deployed near a handful of targets. Its range is pretty short and I personally was not able to take full advantage of it. Next up is Genji, Overwatch's next samurai-type character. This character is one of Overwatch's quicker characters so far, with his Cyber-Agility passive allowing him to climb walls and double jump to escape eneny sight. Genji attacks with a trio of Shuriken, which can be tossed one at a time or all at once with his Fan of Blades alt-fire. Since he's meant to strike quick, the Shuriken are mainly for hit-and-run attacks. Likewise, his Swift Strike also takes advantage of his speed, allowing him to dash through opponents and leave them bleeding out for a short period. Enemies that do try and take aim at Genji can be in a world of hurt if he uses his Reflect ability, which sends their shots right back at them. Genji's Ultimate is Dragonblade, one of the most powerful melee attacks in the game. 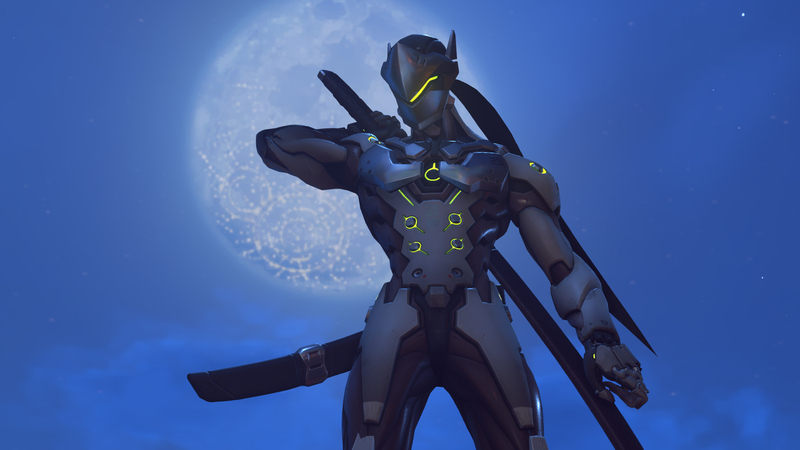 Genji will unleash a powerful blade capable of striking down enemies in only one or two hits. This is interesting, in that if players aren't proficient with melee weapons, it could be a deal-breaker. Why pick a character with a powerful sword if you aren't skilled enough to use it? But those that can cause some damage with a melee weapon can wreak some true havoc with the Dragonblade. While I wasn't able to do much with this character, one of my opponents was able to pick us off quickly and efficiently with this Ultimate. Snipers, in particular, had a cruel surprise waiting for them when the dragon was unleashed. Lastly, there's D.Va, who comes across as something of an intriguing gimmick character. 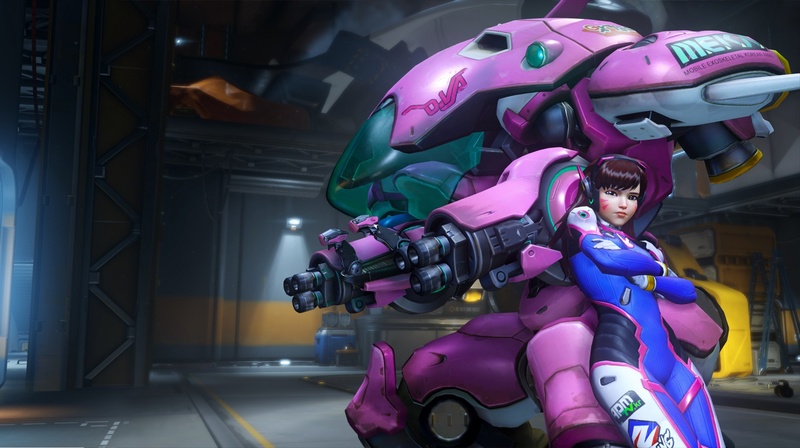 This character rides around in a powerful mech suit, but if anyone manages to defeat the mech, it will self-destruct, allowing D.Va herself to come out and resume the fight on-foot. It's essentially two lives with the same character. The mech is a slow, plodding beast, especially when firing its Fusion Cannons. It can utilize Boosters to help pick up the pace, but they take a while to recharge, so they must be used wisely. Part of being a hulking mech means being a defensive powerhouse and the Defense Matrix ability is able to project a shield to protect teammates. It may not have the sheer range and durability of Reinhardt's shield, but it'll do in a pinch. If the mech falls, D.Va can move much faster and aim at targets with her Light Gun. However, that's all she'll have available to her, with no other abilities to help her out. The idea is to survive until her Ultimate is charged, at which point she can call upon another mech. Her Ultimate while she's donning the mech will have the suit Self-Destruct, which has some outrageous range and, when deployed in the right place, is capable of taking out multiple foes. With games still comprised of 6v6, the addition of new characters is adding a healthy amount of variety to Overwatch games. The addition of these three new characters shows that Blizzard is still able to find new and distinct play styles and make them fit into the game. It's arguable whether any of these will be player favorites (though I've become attached to Mei and her freezing abilities), but they're all definitely worth a shot. Overwatch is now slated for a Spring release on PC, Xbox One, and PlayStation 4. Blizzard y u no gief betta?! I hope they throw them in the beta soon as I want to play as ALL OF THEM.